At the American Academy of Orthopaedic Surgeons (AAOS) Annual Meeting Medacta International has showcased its robust personalized medicine portfolio. The recently unveiled Medacta Individualized Kinematic Alignment (MIKA) instrumentation and associated surgical technique, MectaLIF Anterior Interbody Fusion Device, and MySpine MC Surgical Guides, among other key products and offerings, have been on display at Booth #1432. Medacta has also hosted “Meet the Expert” sessions throughout the conference, where expert surgeon consultants have provided firsthand insight and field questions on the company’s products. Medacta is constantly committed to provide innovative and safe products. The Orthopaedic Data Evaluation Panel (ODEP) has recently confirmed this commitment by awarding GMK Primary a 3A* rating. Medacta International is proud to announce the completion of the first surgery in the United Kingdom utilizing the Medacta Shoulder System. The surgery was performed by Prof. Bijayendra Indrajeet Singh at the Medway Maritime Hospital in Gillingham, Kent. Medacta is proud to announce a new opportunity for young surgeons: The EFORT Clinical Research Fellowship, a new extensive educational concept developed in collaboration with the EFORT Foundation. Medacta International is proud to announce that the first GMK SPHERE surgeries have been performed at the Southern Cross Hospital in Hamilton (New Zealand) by Mr. Peter Black. These total knee replacement surgeries have been performed with the use of GMK Efficiency, the complete Medacta set of single use instruments. Medacta International announces the acquisition of Balgrist CARD Ltd.
Medacta International is proud to announce the acquisition of Balgrist CARD Ltd., an expert center for Computer Assisted Research & Development (CARD) of surgical treatments, as a spin-off from the Balgrist University Hospital in Zurich. The parties have agreed to not disclose the purchase price. Medacta International freut sich die Übernahme der Balgrist CARD AG, eines Expertenzentrums für die computergestützte Forschung und Entwicklung chirurgischer Behandlungen (CARD = Computer Assisted Research & Development) und Spin-off der Universitätsklinik Balgrist in Zürich, bekannt zu geben. Über den Kaufpreis haben die Vertragspartner Stillschweigen vereinbart. Medacta today announced the FDA clearance for the GMK Sphere – Kinematic Alignment instrumentation and surgical technique for total knee replacement (TKR). The manual instrumentation and technique are components of the new Medacta Individualized Kinematic Alignment (MIKA) offering, which is based on the kinematic alignment surgical approach developed with renowned orthopedic surgeon Dr. Stephen Howell, a pioneer in kinematically aligned total knee replacement at Adventist Health Lodi Memorial (Lodi, California). Medacta’s commitment to providing innovative and safe products is coming to fruition! According to the Orthopaedic Data Evaluation Panel (ODEP) rating criteria, Medacta’s GMK Sphere knee has been evaluated in a minimum cohort of 250 knees at 5 years, demonstrating Kaplan-Meier survivorship data in line with the highest ODEP standards for total knee arthroplasty. Medacta® today announced that Francesco Siccardi, a noted biomedical engineer and current Executive Vice President of Medacta International, will become the company’s next chief executive officer on November 1, 2018. After nearly twenty years at the helm of the company, Medacta’s founder, Dr. Alberto Siccardi, will transition from his current CEO role and remain President of the company’s Board of Directors. Medacta® announces today its MySpine Midline Cortical Pedicle Screw Placement Guide (MySpine MC), a patient-matched technology for posterior lumbar fusions, is now generally available and will be on display at the North American Spine Society (NASS) 2018 Annual Meeting, held Sept. 26-29, 2018 in Los Angeles, at Booth #2323. GMK Efficiency single-use instrumentation can facilitate time and cost savings while bringing greater reliability and predictability to multiple steps in the global delivery of TKA. In this study is highlighted that, switching from reusable to Efficiency instruments, approximately 75% of simulated healthcare providers saved at least $750 per case, 50% saved at least $1,000 per case, and 25% saved over $1,200 per case. Tuesday, July 24, 2018 Medacta International, the privately held family-owned global leader in innovative joint replacement and spine surgery products, is proud to announce the first surgeries in New Zealand featuring a combination of the QUADRA System straight stem and the Mpact System through the revolutionary AMIS (Anterior Minimally Invasive Surgery) approach, have been performed in the last few months by Dr. Robert Elliott, M.D. at the ESC Centre, North Shore Hospital in Takapuna, Auckland. Medacta announced their SacroiIliac Joint fusion system was launched for sacroiliac joint surgery. Medacta is proud to announce that GMK Sphere was awarded the 3A* ODEP rating, confirming the excellent survival rate of the implant (latest ODEP ratings can be found at www.odep.org.uk). Medacta announced the addition of the MySpine Midline Cortical Pedicle Screw Placement Guide (MySpine MC) to its MySpine 3D printed patient specific portfolio. Medacta today announced clearance by the U.S. Food and Drug Administration (FDA) for its Short Humeral Diaphysis, which is utilized with the Medacta Shoulder System. The company will showcase this new product at the San Diego Shoulder Institute’s (SDSI) Annual Shoulder Course, held June 20-23 in San Diego at Booth #310. We are proud to announce that in May 2018 we reached the significant milestone of 300,000 AMIS PROCEDURES WORLDWIDE! 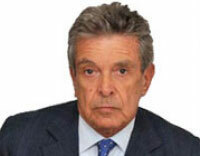 Professor Cesare Faldini, from the University of Bologna, Istituto Ortpedico Rizzoli, the oldest orthopedic surgery center in Europe known for blending innovation and multidisciplinary research, successfully performed hundreds of total hip arthroplasties utilizing the AMIS (Anterior Minimally Invasive Surgery) approach. Medacta is excited to announce the 1st M.O.R.E. Americas Symposium, held April 20-21, 2018 in Montréal. An expansion of Medacta’s M.O.R.E. International Symposium, which is held bi-yearly in Europe, this event will gather upwards of 150 surgeons from throughout the Americas and Europe to discuss controversies and complexities surrounding joint arthroplasty and the health economics of orthopedics in both the hospital and outpatient settings. Medacta is excited to announce that at this year’s American Academy of Orthopaedic Surgeons Annual Meeting we are launching the MOTO™ Medial Partial Knee System, Medacta Shoulder System and a third offset option for our MasterLoc™ Hip System. Partial knee replacements are rapidly becoming a common choice for orthopedic surgeons seeking to offer patients the option of pain relief in the ASC setting. With patient expectations increasing, the MOTO™ Partial Knee System has been designed to simplify the challenges of gap balancing and alignment — truly taking the potential of a partial knee procedure to the next level. Medacta Japan announced the success of its 2nd Japanese M.O.R.E Symposium, held on September 30 to October 1, 2017 and attended by over 300 medical professionals, with presentations from over 40 international surgeons. patients’ wellbeing. Medacta offers a versatile MectaLIF Anterior Stand Alone platform with the aim to provide intraoperative freedom of choice to surgeons and multiple therapeutic options to accommodate a variety of patient needs. An unprecedented cage to plate modularity allows the assembly of indication-specific interbody fusion devices with Hybrid, Flush, Long, L5-S1 and anterior Lateral constructs. Medacta International ranked 1st in the BrandNew@DKOU contest with the Efficiency KneePack! Medacta International participated with 16 other companies to the contest during the German Congress of Orthopedic and Trauma Surgery (DKOU), the second largest European orthopaedic congress, and experts and surgeons who attended the event were asked to vote for the most innovative orthopaedic product of 2017. Medacta is excited to announce the completion of the first surgery in the United States utilizing its Medacta Shoulder System, performed by Matthew D. Saltzman, M.D., Associate Professor of Orthopaedic Surgery at the Northwestern Memorial Hospital in Chicago, Illinois. November 03, 2017 08:00 AM Medacta International is proud to announce that the first two 3DMetal™ Tibial Cones surgeries have been performed by Kevin Hardt, MD and David Manning, MD from the Northwestern University Feinberg School of Medicine (Chicago, IL) and Jeremic Dragan, MD from St. Vinzenz Krankenhaus Brakel (Brakel, Germany). Hundreds of physicians and medical care providers embark on medical mission trips each year to care for underserved populations across the globe. However, few trips have been as ambitious and logistically-challenging as the recent mission trip to Honduras sponsored by One World Surgery. In the short time between hurricanes Harvey and Irma, a group of twenty-two healthcare professionals completed twenty total joint surgeries. Medacta donated the prostheses needed to complete the twenty surgeries through the Medacta for Life Foundation. Thursday, October 19 @ 1:05pm ET. Medacta is supporting a live anterior total hip surgery webcast at the 6th Annual ICJR Anterior Hip Course in Houston, Texas. Dr. John Masonis from OrthoCarolina in Charlotte, NC will perform the surgery utilizing Medacta’s AMIS (Anterior Minimally Invasive Surgery) platform. Dr. Tyler Goldberg from Austin, TX will moderate. ARCHIVES OF BONE AND JOINT SURGERY: Restoration of the Mechanical Axis in Total Knee Arthroplasty Using Patient-Matched Technology Cutting Blocks. A Retrospective Study of 132 Cases. MyKnee Patient Matched Technology has proven to allow precise preoperative planning, correct alignment, excellent implant size matching, less instrumentation trays needed, reduced surgical step and surgical time resulting in improved O.R. efficiency. This study by Dr. Greenhow and Dr. Loucks provides additional evidence in terms of coronal plane alignment and prediction of component size. Healthcare system is moving towards a value-based model to increase the quality of patient outcomes while simultaneously reducing cost. Total Knee Arthroplasty (TKA) has been shown to be one of the most clinically and cost effective procedures in orthopedics. Tyler Goldberg, MD, of Austin-based Texas Orthopedics, Sports & Rehabilitation Associates et Al. have just completed this study that analyzes the potential benefits of GMK Efficiency single use instrumentation compared to conventional instruments in TKA. Lienz - 15 - 16 September 2017 An interactive exchange regarding the AMIS method, the MyKnee system, complications and revision surgeries for GMK Sphere users, Periprothetic infections and complex case presentations. Medacta International, based in Castel San Pietro, Switzerland, is known for its training and support of surgeons. Now, the company and the Medacta Orthopaedic Research and Education (M.O.R.E.) Institute have announced the 250the M.O.R.E. AMIS (Anterior Minimally Invasive Surgery Learning Center). The event, to be held September 15-16, 2017 in Chicago, Illinois, will be followed by a European event on September 25-26, 2017 in Basel, Switzerland. In this week’s publication of “Orthopedics This Week”, Medacta’s AMIS education program was featured describing it as “an extraordinarily effective program which rises to the status of education to competitive tool.” The article discusses Medacta's innovative education process, highlights the learning experience of Ronald W. Singer MD, of OrthoCarolina in Charlotte, NC, and details the benefits of the anterior procedure verses the posterior technique. Hirslanden Clinique La Colline, an internationally renowned clinic in Geneva part of the first Swiss private clinic group Hirslanden, has optimized instrument management and implant stock for its total knee replacement (TKR) procedures by introducing Medacta’s Efficiency KneePack as the new standard in its practice. This advanced solution has helped Clinique La Colline to improve its supply chain and TKR procedure workflow, reducing the resources needed to manage procedures and enabling an even stronger focus on surgeons’ needs and patients’ wellbeing. Save time, limit processing costs and enhance procedure accuracy: these are the key points when referring to the growing number of TKR procedures. Medacta's innovative technologies respond to the needs of the surgeon through the conjunction of MyKnee patient matched technology and GMK Efficiency single use instrumentation to implant the GMK Sphere knee. The MySpine technology, along with the M.U.S.T. screw system, leads to a more accurate screw positioning for both junior and expert surgeons as reported in the study “Accuracy of patient-specific template-guided vs. free-hand fluoroscopically controlled pedicle screw placement in the thoracic and lumbar spine: a randomized cadaveric study” by Dr. Farshad et. al. (Eur Spine J. 2016). Medacta is delighted to officially announce that our new and refreshed website is now online! The updated site includes changes to navigation, optimisation for mobile devices and also an improvement to the content structure. The goal of this new website is to provide our visitors with easier access to information regarding Medacta’s products, services and solutions. The number of outpatient procedures is on the rise, with outpatient knee replacements expected to increase by more than 450 percent nationally, and hip replacements by more than 630 percent, in the next decade.1 Outpatient surgery has the potential to cut joint replacement costs nearly in half and improve the patient experience with potentially lower risk of complications, as well as an overall more streamlined and efficient experience. “We feel that the most important thing in orthopedics and joint replacement is not only to improve implant design, but also to elevate design standards. With the Medacta Shoulder System we aimed to solve the issues related to implant design, polyethylene wear and the reproducibility of results” said Francesco Siccardi, Executive Vice President of Medacta International. Medacta International is proud to announce the acquisition of Austrian distributor Vivamed GmbH, effective 01 February 2017. Orthopedic surgeons consider several factors before performing outpatient total hip replacement, including which approach to use. Thomas Ellis, MD, of Columbus, Ohio-based Orthopedic One; Coleman Fowble, MD, of Columbia, S.C.-based Midlands Orthopaedics & Neurosurgery; and John Masonis, MD, of Charlotte, N.C.-based of OrthoCarolina, discuss why they adopted the direct anterior approach for THA and the benefits they've seen. Medacta International is heading into 2017 with significant momentum in its U.S. spine business, including the appointment of a new Medical Director following breakout business performance in 2016. 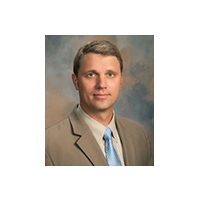 Effective immediately, noted spinal surgeon and data scientist S. Raymond Golish, MD, PhD, MBA will serve as Medical Director of the Medacta USA Spine Division. Wishing you a joyful Holiday Season and a prosperous New Year! Medacta International, the privately held family-owned global designer of innovative joint replacement and spine surgery products, showcased its new MasterLoc Hip System and GMK Sphere Knee at the 26th American Association of Hip and Knee Surgeons (AAHKS) Annual Meeting, held from November 10 to 13, 2016 in Dallas, Texas. There are more high-acuity orthopedic procedures going to the outpatient setting today, including total joint replacements. Orthopedic technology is developing for minimally invasive procedures, and new pain management protocol and post-surgical care allow patients to leave the outpatient centers within 23 hours after surgery. "It's been a natural progression over many years where we have seen a gradual reduction in the duration of hospital stay after joint replacement," says Robert Greenhow, MD, of Peak Orthopedics & Spine in Lone Tree, Colo. "This has been based on less invasive and improved surgical techniques, use of regional anesthesia and peri-articular injections, less tubes and drains and a reduction in the use of narcotics." Castel San Pietro, Switzerland-based Medacta showcased its new MasterLoc Hip System and GMK Sphere Knee at the 26th American Association of Hip and Knee Surgeons Annual Meeting. Here's what you need to know. We are proud to announce that in October 2016 we reached the significant milestone of 20,000 GMK Sphere implanted worldwide. Medacta presented new data that showed the success of its orthopedic product line following the 8th M.O.R.E. International Symposium, a clinical educational meeting featuring more than 1,000 surgeons from around the globe. During the meeting in Switzerland, Richard Field, MD, orthopedic surgery professor at St. George's University of London, United Kingdoms, presented clinical results on Medacta's AMIStem hip implant study. The 421-patient study complied with the UK Orthopaedic Data Evaluation Panel recommendation, which evaluates an implant's performance and gives surgeons factors to consider when choosing implants for joint replacement procedures. Medacta International is proud to announce today the successful completion of the first U.S. surgeries by Dr. Raymond Golish in Jupiter, Fla. and Dr. Arnold Vardiman in San Antonio, Texas utilizing its innovative and proprietary 3D-printed MySpine Low Profile Guide, part of the company’s award-winning MySpine Patient Matched Technology, following its recent FDA clearance. Medacta is proud to announce that, right now, will match dollar-for-dollar every resident donation. We are excited to announce the new Medacta M.O.R.E. APP videotutorial! The aim of this video is to show everyone the usefulness of this powerful application, designed specifically to assist you in accessing Medacta information! Following the success of our 8th M.O.R.E. International Symposium held in Lugano on April 22-23, 2016, we are delighted to announce the release of our newly re-designed congress website. We are pleased to highlight the interview of Prof. Claudio Lamartina on Spinal News International regarding the MySpine technology. We are proud to announce the 1st MiniMAX hip stem was implanted in Australia through AMIS (Anterior Minimally Invasive Surgery) approach. 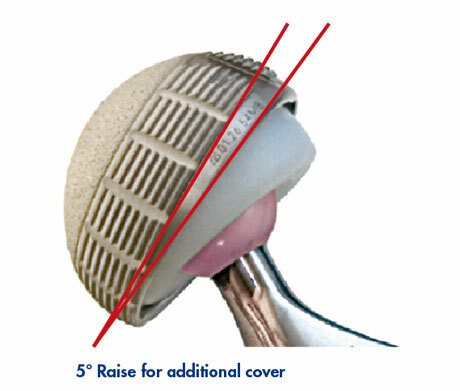 The MiniMAX is an anatomical cementless stem engineered to provide the best fit and fill in the metaphyseal femur. First introduced in the market in 2007, it now reached proven clinical results, obtaining a survival rate at 5 years of 97.5% considering revision for any reason and 100% considering aseptic loosening as endpoint. 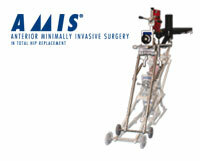 The implant has been design to allow an easy and straightforward insertion, especially through AMIS approach. GMK Efficiency Single Use Knee Instruments Featured on Outpatient Surgery Magazine! Proud to share new data and milestones of key products following the 8th M.O.R.E. Symposium in Lugano, Switzerland! More than 15,000 GMK Sphere! We are proud to announce that, in April 2016 Medacta celebrated 15,000 GMK Sphere procedures performed worldwide! We are proud to announce that in April 2016 Medacta celebrated 40,000 MyKnee procedures performed worldwide! It is with great pride and pleasure that Medacta announces a new milestone achievement: more than 200,000 AMIS procedures worldwide! We are proud to announce that AMIStem-H was just awarded the ODEP 5A rating, confirming the promising results of the 3A* score of the last years. As more outpatient facilities look to add total knee replacements to their caseload, a problem often arises: Reprocessing the procedure's big, heavy instrument trays can be too tough for smaller centers with limited sterile processing capabilities. To solve that problem, Medacta has created a single-use knee system. Reflected long-standing commitment to surgical education and training for improved patient outcomes. Coincided with 200,000th Anterior Minimally Invasive Surgery procedures, 100,000th AMIStem Hip implantation, 40,000th MyKnee Patient Matched Technology Instrumentation, presentation of the New MySpine Low Profile Pedicle Screw Guidance Technology. The new Medacta M.O.R.E. APP is now available! The Medacta M.O.R.E. 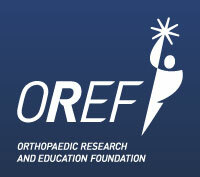 APP is our new application for the Medacta Orthopaedic Research and Education Institute. Applications for the Medacta 2016 visiting fellowship are open throughout the year to orthopaedic specialists based on their national regulations, as well whether they are younger than 45 years of age or are residents in their last year of residency. As industry-leading innovators and collaborators, both Solvay and Medacta have been at the forefront of the trend toward single-use medical instrumentation. At the AAOS, Medacta showcased its latest surgical innovations, including its GMK Efficiency Single Use Knee Instruments and Mpact Dual Mobility Acetabular System, and provided an update on its pioneering MySpine Patient-Matched Technology. Medacta International, leader in the field of orthopaedics, launches its new building in Via alla Rossa, Rancate. L’azienda leader nel settore ortopedico inaugura la nuova struttura in via alla Rossa. 100,000 cementless AMIStem implanted worldwide! We are proud to announce that, in March 2016, the AMIStem System reached the significant milestone of 100,000 cementless femoral stems implanted worldwide. 10,000 GMK SPHERE implanted worldwide! We are proud to announce that, in November 2015, we reached the significant milestone of 10,000 Sphere knees implanted worldwide! We are proud to announce that on November 23rd – 24th 2015 Medacta successfully held the 1st M.O.R.E. ASIAN AMIS LEARNING CENTER in Singapore. ORTHOPEDICS THIS WEEK: Medacta International. Founded by a Patient, Exceptional Through Training, by Elizabeth Hofheinz, M.P.H., M.Ed. Francesco Siccardi, executive vice president of Medacta International and son of the founder, tells OTW, “Years ago I watched my father suffer after undergoing a total hip replacement. He and I both knew that there had to be a better way. We could see the advantages of the anterior hip approach, and we were personally motivated to find a way to give patients a superior surgical experience..."
The night before the 200th AMIS Learning Center, Medacta will be sponsoring an event on VuMedi at 6pm MDT. This live panel discussion will feature a global faculty, Dr. Frederic Laude (Paris, FR) and Dr. Chien-Wen Liew (Adelaide, AUS), moderated by Dr. Tyler Goldberg (Austin, TX). This event will focus on the how a global education platform has had an impact on a personal level. It is with great pride and pleasure that Medacta announces a new milestone for the M.O.R.E. Institute and the AMIS Education Platform, which once again strengthens its leading position in Anterior approach education! Medacta, Northwestern Medicine and VuMedi conducted a webcast featuring the GMK Sphere knee on July 28. The webcast replay is now available in the VuMedi webinar archive section. Following the success of our 1st M.O.R.E. 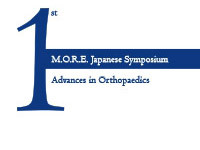 Japanese Symposium in April, we are delighted to announce the Congress website: www.1more-jpn.medacta.com We have created this portal in order to re-live this memorable event via the web. As part of Medacta’s ongoing commitment to Continuous Medical Education, we are announcing the: 8th M.O.R.E. International Symposium - April 22 - 23 2016 - http://8more.medacta.com The Symposium will be held in Lugano, Switzerland, the picturesque city where Medacta is headquartered. Join Medacta, Northwestern Medicine and VuMedi for a surgical demonstration featuring the GMK Sphere Knee System with MyKnee Patient Matched Technology. This webcast will be presented on July 28th, 2015 at 5 PM PDT Los Angeles. These 25 spine devices received the 2015 Becker's Healthcare Spine Device Award. 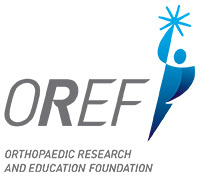 Medacta International Announces 5-Year Commitment to Match Resident Donations to the Orthopaedic Research and Education Foundation. In our effort to provide customized and continuous support to our surgeon partners, we have launched the Medacta Channel on VuMedi.com. This new channel will be provided as an effort to complement Medacta’s unparalleled surgeon education and training programs. Medacta USA announced the completion of the first successful surgeries in the United States utilizing MySpine Patient-Matched Technology. MySpine was selected as a Best New Technology in Thoracolumbar Care on the basis of its originality, clinical relevance and likelihood of improving patient outcome. Medacta featured on the Bone & Joint Journal website! We are proud to inform you that the 7th M.O.R.E. Symposium Report has been published in The Bone & Joint Journal June issue. In recognition of Medacta’s commitment to support Continuous Medical Education, Medacta will receive the “EFORT Industry Award 2014” during the EFORT Congress opening ceremony on June 4th, from 12 to 12.30, in the main Auditorium “London”. 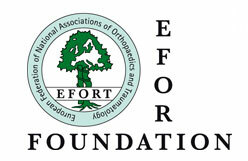 This prize acknowledges Medacta’s loyal support of the EFORT FOUNDATION Fellowship Programmes. Medacta International today announced the opening of its 7th Medacta Orthopedic Research and Education (M.O.R.E.) 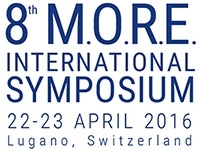 International Symposium, which takes place this weekend near the company’s worldwide headquarters in Lugano, Switzerland. Témoigne de l'engagement sur le long terme pour la formation chirurgicale, l'éducation, et les résultats des patients -- Coïncide avec le quinzième anniversaire de Medacta et les derniers jalons des produits. Medacta setzt sich schon lange für chirurgische Aus- und Weiterbildung und bessere Ergebnisse für Patienten ein. It is with great pride and pleasure that Medacta announces another milestone achievement for the M.O.R.E. Institute for AMIS Education with the 150th AMIS Learning Center which will take place on the 17th and 18th of March in Tours, France. We are glad to announce that Medacta International SA has been listed recently as a Corporate Member on the Eucomed website. We are pleased to communicate that the first live surgery of the MyHip Patient Matched Technology was performed by Prof. Dora in the Uniklinik Balgrist, in the 21st of November 2013, as part of the event “Orthopedics Update Kontroversen der endoprothetischen Hüftrekonstruktion: Was gibt‘s Neues?”, held by the Uniklinic Balgrist. The 1st Revision AMIS Learning Center occurred during the 24-25th of October in Tours (France) with great success. 50,000 AMIStem femoral stems implanted worldwide! The first stem specifically designed for AMIS (Anterior Minimally Invasive Surgery), the AMIStem, has reached the impressive number of 50,000 implantations in only 4 years. In 2003 a new stem was introduced into the market: Quadra-H. This year we celebrate the 10th year of the Quadra-H stem system along with its clinical success. Versafitcup DM was introduced into the market in 2003 and we are pleased to announce 10 years of clinical success of this double mobility cup. Over the last 9 years Medacta has actively promoted the AMIS (Anterior Minimally Invasive Surgery) for Hip Arthroplasty. 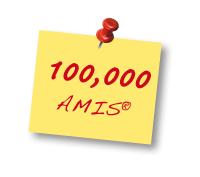 The result of this effort is that we can now proudly announce that in June 2013, we reached 100,000 AMIS procedures worldwide. Take advantage of the MyHip technology to further improve the precision of your Hip Replacement surgery. The EFORT FOUNDATION and Medacta International are pleased to announce that the Visiting EFORT Fellowship Program is now live! This is a good opportunity for Visiting Fellowships in the field of Total Hip and Total Knee Replacement, with particular focus on AMIS (Anterior Minimally Invasive Surgery) for THR and MyKnee (Patient Matched Cutting Blocks) for TKR. 10,000 MyKnee! This one works!! The MyKnee® technology, developed by Medacta®, was first used in September 2009. Since then, 10,000 MyKnee® surgeries have already been done, a number reached in January 2013. This is a big proof of Medacta®’s PMT success. MyKnee LBS is now available! The FIRST Patient Matched Cutting Blocks with integrated LIGAMENT BALANCING SYSTEM! Medacta® International is the only orthopedic company that offers this unique solution, the MyKnee® LBS: the FIRST Patient Matched Cutting Blocks with integrated LIGAMENT BALANCING SYSTEM. Das Bezirkskrankenhaus Lienz und das ElisabethinenKrankenhaus in Klagenfurt sind Referenzzentren und Ausbildungsstätten für minimal invasive Hüftchirurgie und "my knee"-Endoprothetik. So bot sich Kärnten ideal für einen Kongress zur Hüft- und Kniechirurgie ideal an. In Pörtschach am Wörthersee diskutierten 150 Ärzte aus zehn Nationen drei Tage lang über die verschiedenen Perspektiven und Fragestellungen modernster orthopädischer Eingriffe. Die wissenschaftliche Leitung des Kongresses stand unter Patronanz der Lienzer Ärzte Valjdet Saciri und Herbert Strobl. Den Kärntner Teil deckten Manfred Kuschnig und Rupert Jesenko ab. Pörtschach am Wörthersee war drei Tage lang Schauplatz des internationalen Kongresses, bei dem 150 Ärzte über Hüft- und Knieendoprothetik diskutierten – Dr. Valjdet Saciri und Dr. Herbert Strobl, Fachärzte für Orthopädie am Bezirkskrankenhaus Lienz, hatten bereits zum 5. Mal die wissenschaftliche Leitung dieses hochkarätig besetzten Kongresses über. Die minimal invasive Hüftchirurgie, wie sie seit rund zehn Jahren im Einsatz ist, hat die herkömmliche Hüftoperation revolutioniert. Bereits zum fünften Mal steht diese AMIS©-Methode (anterior minimal-invasive surgery) im Vordergrund eines medizinischen Kongresses in Österreich. In March 2012 Medacta® hosted the 100th M.O.R.E. AMIS® learning center. This milestone was celebrated with a special AMIS® advanced course in Paris. 100'000 Medacta stems implanted worldwide, 70'000 are AMIS! 100'000 Medacta® stems implanted worldwide and the beginning of the Medacta® business in the Japanese and Brasilian orthopaedic market. 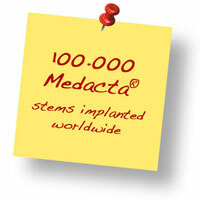 In March 2012, Medacta® announced the huge achievement of 100'000 hip stems implanted worldwide! 70'000 of these were implanted through the anterior minimally invasive approach, AMIS®. The company crèche MyBaby is committed to support parenthood, to promote the return of women back to their professional life after a maternity leave and to offer to users services of quality. The pressure on selling prices in the orthopaedic field all over the world and the purchasing decision power that is slipping from surgeons to the healthcare administrators, is playing a contradictory role. On one hand the purchasing departments are more and more reluctant to pay the usual price for orthopaedic implant and on the other hand producing companies are actively trying to develop new products. 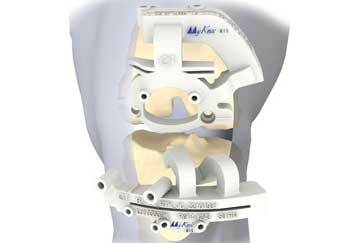 In 2009 Medacta® International launched MyKnee®, patient matched cutting blocks for knee replacement. Since then, several articles have been published on MyKnee® proving the two main benefits of patient matched technology: accuracy and effectiveness. Dislocation remains one of the most common causes of hip revision. Sariali reports dislocation rates of between 0.5% and 10% for primary THA, increasing to between 10% - 25% following revision surgery. Following primary total hip arthroplasty, the treatment of dislocation is often expensive and, in the case of revision surgery, this cost can be as high as 148% of the hospital costs in comparison to an uncomplicated total hip replacement. The ‘Medacta® Practice Development Plan’ is a services package, created to support surgeons in organising educational meetings with patients and general practitioners. The Medacta® Practice Development Plan’s intention is to assist surgeons in the promotion of their practice and interaction with the patient; a series of patient oriented documents and marketing tools have been created for this purpose. The anterior approach for total hip replacement is the only technique that follows an intermuscular and internervous path. An excellent reason why Anterior Minimally Invasive Surgery (= AMIS®) is the ideal approach for atraumatic surgery which is fundamental for a fast recovery. The upcoming global market launch of the GMK® Hinge*, the newest member of the GMK® family, will definitely enhance the Medacta® knee portfolio. GMK® Hinge* will help the surgeon manage more cases and take advantage of the additional clinical indications, including difficult primary cases and the most challenging knee revisions. In der Medizin gilt es sich laufend über neue Methoden und medizinische Therapieformen zu informieren und sich diese anzueignen. In der Funktion eines Lehrkrankenhauses der Medizinischen Universität Graz werden seit Jahren am Elisabethinen-Krankenhaus in Klagenfurt Medizin-Studierende unterrichtet. „Aus- und Fortbildung wird in unserem Hause groß geschrieben. Neben unserem Lehrauftrag, den wir für die junge Ärzteschaft wahrnehmen, ist uns eine regelmäßige Weiterbildung unseres medizinischen und pflegerischen Personals sehr wichtig. Darüber hinaus schulen wir auch KollegInnen aus anderen Einrichtungen“, erläutert Primar Dr. Manfred Kuschnig, Medizinischer Direktor am Elisabethinen-Krankenhaus Klagenfurt und Leiter der Abteilung für Orthopädie. So geschehen im Rahmen des Ausbildungsprogramms der Amis®- Hüfttechnik (Anterior Minimally Invasive Surgery). Discover the quality and innovation that comes with the minimally invasive surgery coupled with the MyKnee technology! Experience the 1st MyKnee MIS live surgery from home. You can attend the online broadcast of MyKnee MIS live surgery from the comfort of your home, by simply registering on the website: www.vivaltotraining.com/canciani/index.php (registration is free!). MyKnee® means investing in innovation to achieve success. Medacta® is proud to continue its innovation in orthopedics with the MyKnee® technology. MyKnee® is a set of patient matched cutting blocks for Total Knee Replacement which allows the surgeon to accurately match his surgical planning, based on individual patient’s anatomy and mechanical axis. HIGH PERFORMANCES WITH NO DRAWBACKS The Versafitcup® System increased its product range thanks to the introduction of the HighCross double mobility liner: the alternative to Metal-On-Metal Large Heads and Ceramic-On-Ceramic. MyKnee System: a new vision in total knee replacement. INNOVATION: THE KEY TO SUCCESS Medacta®'s core philosophy is based on the belief that innovation is the key to success. This leads to a constant effort towards the development of cutting edge solutions for Orthopaedics. MyKnee® is a patient-specific cutting block, allowing the surgeon to realize his pre-o's knee. This innovative concept combines different features giving potential benefits to both the surgeon and to the patient. The AMIStem is the first stem specifically designed for the AMIS® approach (anterior minimally invasive surgery), engineered to offer bone preservation and easy introduction in the femoral canal. Ein Wiener Orthopäde entwickelte die schnellere und präzisere Knieoperation „MyKnee“. In September 2009, the First World Conference on Anterior Hip Approach was held in Zurich with the participation of an internationally recognized faculty and more than 400 orthopedic surgeon attended the meeting.